Service Fabric is a scalable and reliable microservices. 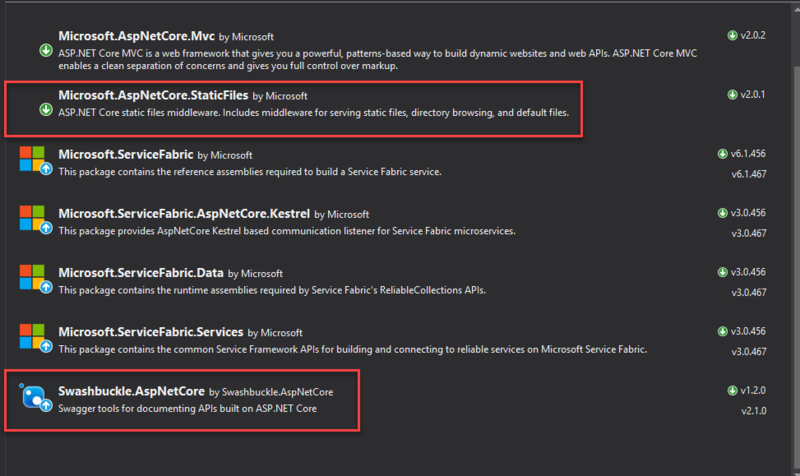 Service Fabric mainly consists of 2 main services: Stateless (does not maintain a mutated state) and Stateful (maintain a mutated state) microservice. 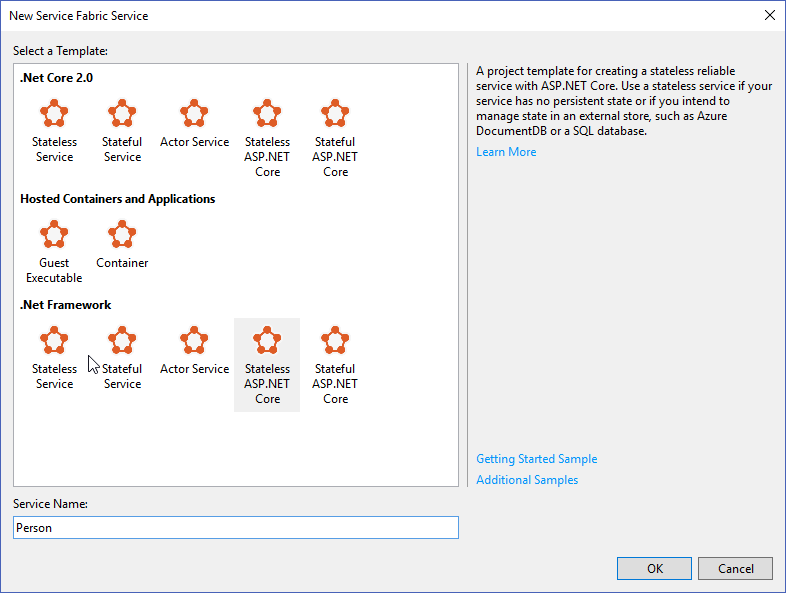 This article implemented the web API that did not store any state of data so stateless service had been chosen (Stateful also the same for this purpose). Swagger.io is a powerful framework that helps developers to design, document RESTful Web Services. 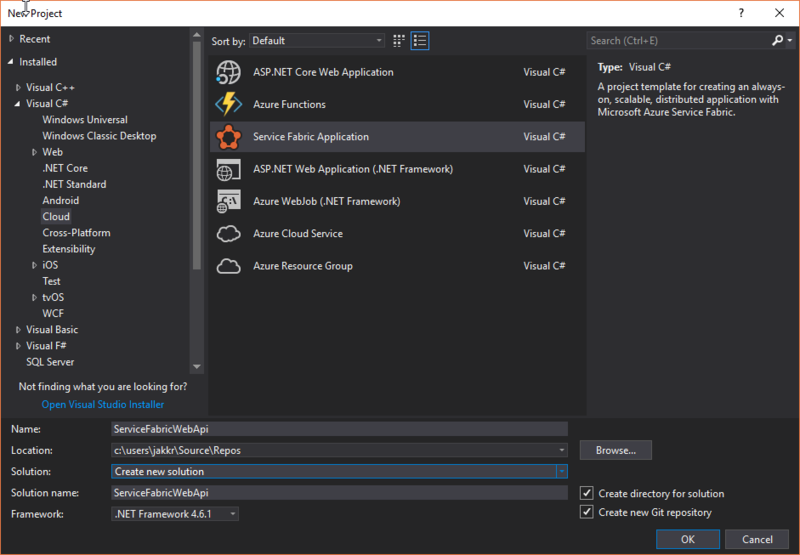 There are many libraries for using Swagger.io in Asp.Net Core framework. One of my favorite is Swashbuckle because of ease of use and it also provides the auto-generation of API document according to your controllers. In “Configure” method, add these lines of code. Deploy to cluster (this article used localhost). Then, go to your cluster explorer (For local cluster, the url is “https://localhost:19080/Explorer/”). Finally, go to your app to get the url endpoint. Swashbuckle will generate all of the APIs from all controllers in your project. If you want to hide some methods or classes, you can achieve this by adding the following attribute to the methods or classes you want to skip from the document. Assuming I want to skip ValuesController from this document so I put the attribute from previous step to ValuesController. The result will look like this. 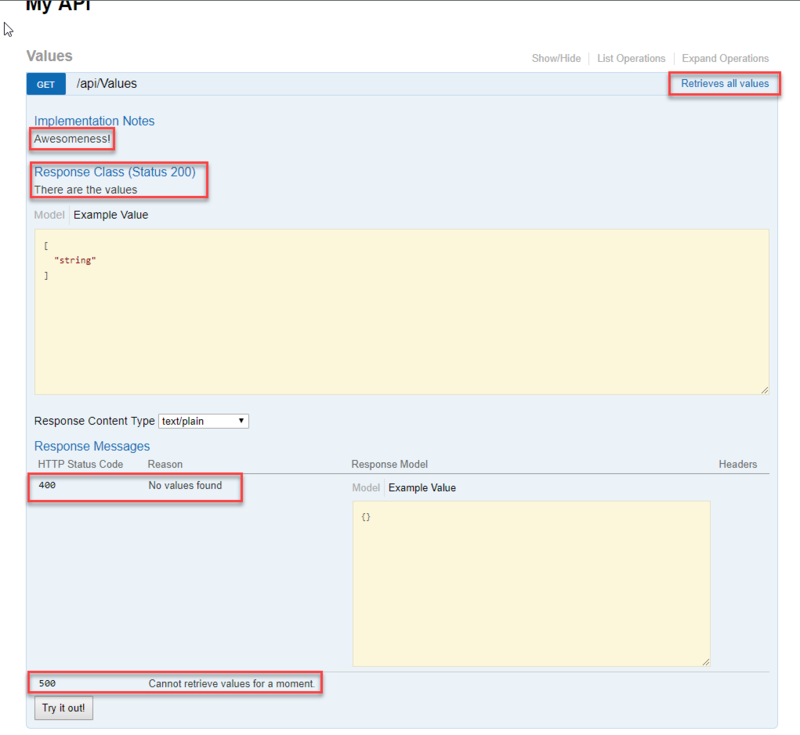 Now, everytime you implement the web APIs it will automatically generate the document for you. Easy right? But you can’t insert the description of the APIs to your document yet. 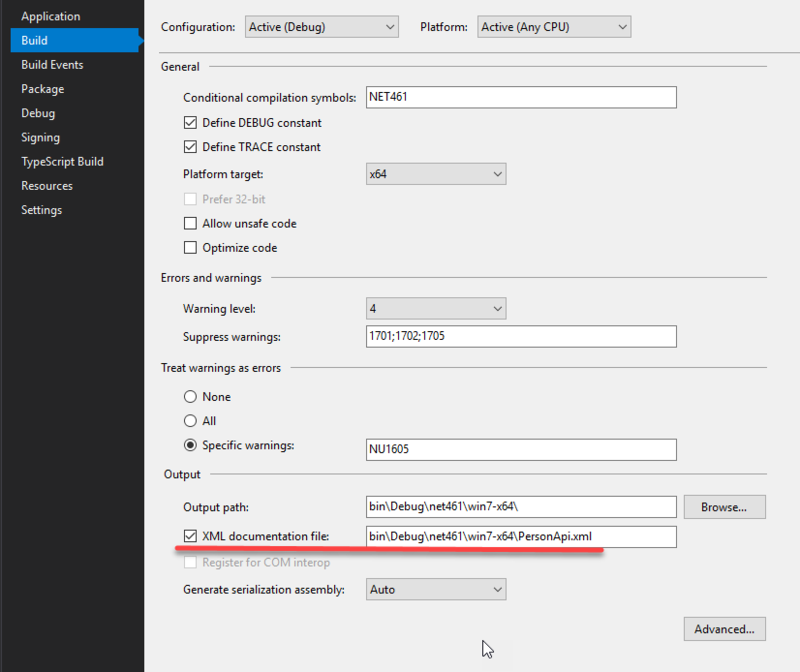 If you want to, you have to setup the .NET build-in XMLDocument. Open “Startup.cs” again and modify the ConfigureServices and it should look something like this. XMLDocument can be inserted by using “///”followed by the XML that specifies you APIs right above the methods. The example of using XMLDocument of “Get” method of ValuesController can be shown as following. The result will be look like this. For the further features of the .NET XMLDocument and Swagger document. I will discuss about it in the next post. See you on next post.